Attention to detail in this elegant new home built by local north shore builder, Occasio Fine Homes. 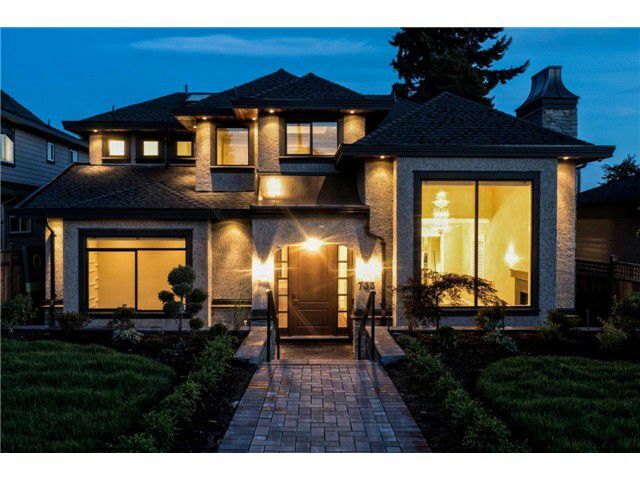 Exceptional quality construction with over 4800 sq ft plus triple garage located on a sunny south facing lot in highly desirable Queensbury. Features including.. wide plank oak h/w flooring on the main & upper floors, quartz countertops throughout , gourmet kitchen with gas range and Thermador appliances, 10 ft. ceilings, extensive millwork & designer lighting including James Moder crystal chandeliers. Four en suited bedrooms up( city or mountain views from every room) with a gorgeous spa-like ensuite complete with marble tiles, rain shower, heated floors and generous sized covered deck. Legal 2 br suite down, wine cellar, wet bar, guest room and a media room with surround sound. Classic rock stucco exterior with tongue & grooved cedar soffits makes this home stand out from the rest. This custom built home with 2-5-10 home warranty is an absolute must see. Open House Sat & Sun 2-4.